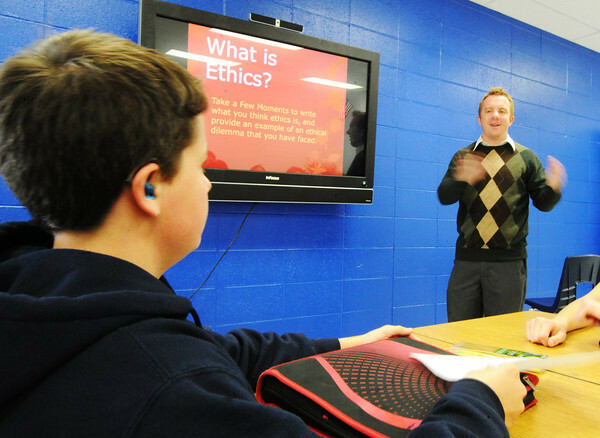 Instructor Patrick Bromley teaches a business class Wednesday, Oct. 16, 2013, at McAuley Catholic High School. Bromley was recently named Teacher of the Year from the diocese. Freshman Miles Shelfer listens at left.